This school year all grade 6, 7 and 8 students’ current grades will be in Schoology. Schoology is our Learning Management System, the daily space for learning. All assignment details will be in the same place as the scores, making Schoology a one stop shop for this information. Schoology offers much more detail behind each score than possible in Skyward, letting you actually view assignments, your child’s work if done electronically, teachers’ comments and feedback, rubrics, view any missing homework or incomplete assignments, even see some assessment answers and more. Scores are posted in real time and questions about what has been graded or is missing will be greatly reduced. The easiest way to stay informed of grades is to sign up for a daily or weekly email digest which pushes information to you without having to login to look for it. You can also access Schoology grades through a mobile app available in both iOS and Android platforms (which saves your login info), or on a computer through the district website (which requires a login each time). I encourage you to use these tools to stay connected to your child’s learning in Minnetonka. At the end of each quarter grades will recorded in Skyward as well for your child’s transcript. Please note that if you have children at elementary and/or high school you will use both Schoology and Skyward for grades and learning information. If you have any technical questions, please contact our Family.Helpdesk@minnetonkaschools.org. I hope you find that this one location for all of your child’s learning content and achievement scores provides you with greater insight and understanding of your child’s learning. Click HERE for my video post. To all who have supported our fundraiser so far – thank you! The PTO and our school truly appreciate your willingness to help. The PTO has funded innovation in our school with outfitting some classrooms and other places in the building with comfortable and unique furniture. Their goal is to help even more teachers design their classroom to meet the needs of their students. Your support is how this all happens! We heard you; the overwhelming message was to stop selling stuff. We are now on a direct donation system. Thanks to the PTO for all of the time and energy they invest in our school!! Parents/Guardians will be receiving information via e-mail late this Friday afternoon. There will be detailed instructions on how to sign up. Conferences will run on Thursday, October 11 from 5:00 to 8:00 p.m. and Friday, October 12 from 9:00 a.m. to noon and 1:00 to 4:00 p.m.
Strawbridge Studios will be here to take photos on Wednesday, October 3rd. If your student needs their picture taken they can go to the Media Center during lunch/Advisory or MAST to have it taken. Order forms are available in the main office. If your student needs a re-take, please make sure that they bring the original order with them to submit to Strawbridge. Study Lunch will begin the week of September 24th. The purpose of Study Lunch is to provide your child with the support and assistance needed to successfully complete homework/projects, clarify concepts, prepare for (re)tests, and as a result, improve their academic performance. If your child is referred, the reason for your child’s academic challenges may be missing work, being absent, and/or low test grades, and MMW can offer support to your child with this intervention during the school day. Each Monday, Advisory/Immersion teachers review grades/missing work with their students. Through these Schoology academic check-ins, our goal is to celebrate the students who are doing well and also identify the students who are struggling and need more support. If your child is earning a failing grade in two or more of their courses and/or has more than 10 missing assignments, he/she may be assigned to Study Lunch. Study includes the Lunch/Advisory period, Tuesday through Monday. 6th and 7th grade Immersion students will attend the lunch portion only. If your student is passing their classes and/or has their missing homework turned in before Monday of the following week, he or she will NOT have to attend Study Lunch for the full week (i.e students will be released early if they complete their work). Counselors will make the final determination as to who is required to attend Study Lunch. Counselors will inform students via Schoology messenger on their iPad. Please contact Sonia McCaddon, Study Lunch Coordinator, at Sonia.McCaddon@minnetonkaschools.org or your grade-level Counselor with any questions you may have regarding this program. Thank you so much for your support. We strongly believe Study Lunch is an excellent opportunity for children to catch up and feel confident about school. Now is the time to purchase iPad Insurance! The window for buying iPad insurance without an inspection will close on September 30, 2018. Starting on October 1, 2018, iPad insurance will only be available after a device is inspected in the MMW Media Center. If you have indicated to our Media Specialist that you would like iPad Insurance, please check your Skyward account to make sure that you have completed the payment. Click HERE for full details about the coverage as well as instructions on how to purchase insurance through Skyward Fee Management. Families have continually expressed their thanks for this insurance. If you choose to purchase insurance, you will receive a receipt at the end of your transaction as confirmation of coverage. Minnetonka High School established the MAST (Minnetonka Academic Support Time) program in 2015 to meet the needs of learners who benefit from having time during the school day to attend to their individual academic needs. At the high school, MAST time runs on Wednesdays for the first 40 minutes of school. Each remaining period in the day is shortened by six minutes so that school ends at the normal time and buses can follow their regular schedules. At MMW we have been studying how a similar program might benefit the middle school students. Last year we introduced SKIP Time (Students Keeping It Productive) to MMW. This year we have decided to rename SKIP Time to MAST in order to align with Minnetonka High School. We are thrilled to be offering students a predictable period of time for all students to pause for academic success time. 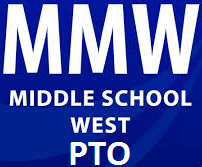 On Wednesdays, MMW will have an altered shortened schedule in all classes and an additional block of time, “MAST” built into the slot between 6th and 7th period. This time is to be used exclusively for academic activities. Additionally students will attend MAST with their advisory teacher to ensure consistent expectations and follow through. Our first MAST schedule will be Wednesday, October 3rd and will run every week, unless we have school wide testing scheduled. Hello MMW parents! I am the student climate paraprofessional. My role is to work with students, staff, and parents to improve our school environment. I will be involved in conflict management as well as creating and implementing positive environment initiatives. Our goal is to develop and maintain a positive school climate. This year I will be leading a RAKtivist Club. RAKtivist is short for Random Acts of Kindness activist. This is a club that works on projects focused on spreading kindness and positivity throughout the school. I will also be hosting Friday Focus Groups during lunch hours. This is an opportunity for students to share feedback and suggestions in a small group setting. I’m looking forward to getting students involved in making a positive impact on their school environment! I am located in Office B directly across from the counselors’ offices. Please let your child know that I am available as a resource. Feel free to reach out to me with any questions or suggestions. Minnesota law requires children enrolled in school to be immunized against certain diseases or file a legal medical or conscientious exemption. As your child moves from 6th grade to 7th grade, there are 2 additional immunizations required for school entry in the fall. Seventh grade students are required to have a current Tdap that has been administered on or after their 7th birthday (but are typically given near their 12th birthday). Additionally 7th graders are also required to be immunized against meningococcal. If you have been receiving emails from Caredox that is an indicator that your student is non compliant. Check out our Facebook page: https://www.facebook.com/MinnetonkaMiddleSchoolWest/ for up to date news about MMW. The Facebook page is a great place to get up-to-date information, especially with winter and bad weather right around the corner. Think Snow Days and Late Starts! The Minnetonka High School Homecoming Parade is Friday, September 28th at 3:30 p.m. in downtown Excelsior. This year, the District has a 2-hour release on that day. MMW will be released at 1:55 p.m., so students will have plenty of time to get to the parade without requesting an earlier time to be released. Also, please note that there will not be any after school activities or Bright Watch/Study Hall on this date. Happy Homecoming week! We look forward to having fun this week and sharing in the school spirit. This year, we will have a different dress up day for each day of this special week. Students and staff are encouraged to be a part of the fun. MONDAY is pajama day. Dress comfy! TUESDAY is tropical day. No swimsuits, please! WEDNESDAY is color war day. Each grade has an assigned color and, if they want, kids can go all out and dress from head to toe in the assigned color. THURSDAY is USA day. Wear red, white, and blue! FRIDAY is school spirit day. Wear Minnetonka gear or blue! There is still plenty of time to collect donations for our step it up fundraiser. The final day to collect donations and turn in your pledge sheet is October 4, 2018. Remember, for just $60 in donations, you will have an opportunity to win prizes like the tootsie banks, shower speaker, tornado mug, light up chair and personal projector. Also, win cash on the money wheel and toostie bank. Don’t miss out on all the fun!!! Turn in all your materials to the main office or to the PTO volunteers that will be here on October 2nd and 4th. The SignUpGenius for the PTO Fundraiser is now available! There are many ways where your help is still needed. Next Homecoming Week at MMW! !